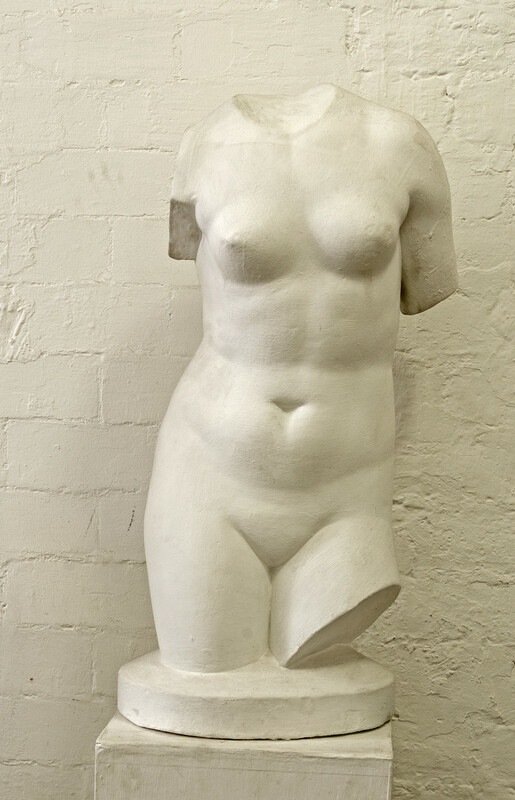 Fragment of femal form, hips to shoulders. Hellenistic style. Listed in 1964/5 inventory as located in classroom 38 of the Mackintosh Building (GSAA/GOV/7/5).